Manufacturing environment has its own complexity that needs system and software to create a faster process of production. It should have a good computer system that will assist in the ease of usual process, components and tooling. Manufacturing business need to have a process that will not just minimize loss and waste in raw materials but reduce energy consumption as well. There are actually a lot of requirements to make manufacturing process faster, better and more economical that is why there’s a need for a well-planned system software like the Cad Cam software. The Computer-aided manufacturing or CAM which is formerly considered as a numerical control programming and used to control machine tools in the manufacturing of work pieces can very well attend and assist to the needs of manufacturing industry. As years go by CAM software becomes more advanced and with CAD CAM software CNC machinists and programmers can depend on its applications to create computer-numerically controlled programs to support CNC milling, turning, fabrication and wire EDM. It helps and assists to systemize process, control and implement strategies for a more precise dimensions and consistencies in materials and addressing manufacturing plant major concerns like automation of machining process, restructuring of toolpaths, wireframe modeling, 5 axis machining, dimensioning, analysis, easy usage and related concerns. 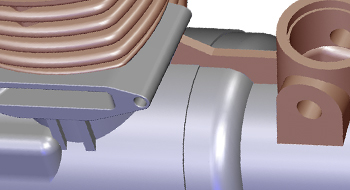 With the use of the latest CAD CAM software you’ll be assured of a well-planned systematic process that will attend to all manufacturing plant job requirements. All resources will be at hand to carry out needed applications, modeling and designs. As with using the software you don’t have to worry as they also offer training for would-be users whether new or experienced. Knowledge in using and running the software for the manufacturing programmers would be an edge to be able to use the programs to its full potential. Support package is given with every software purchase.